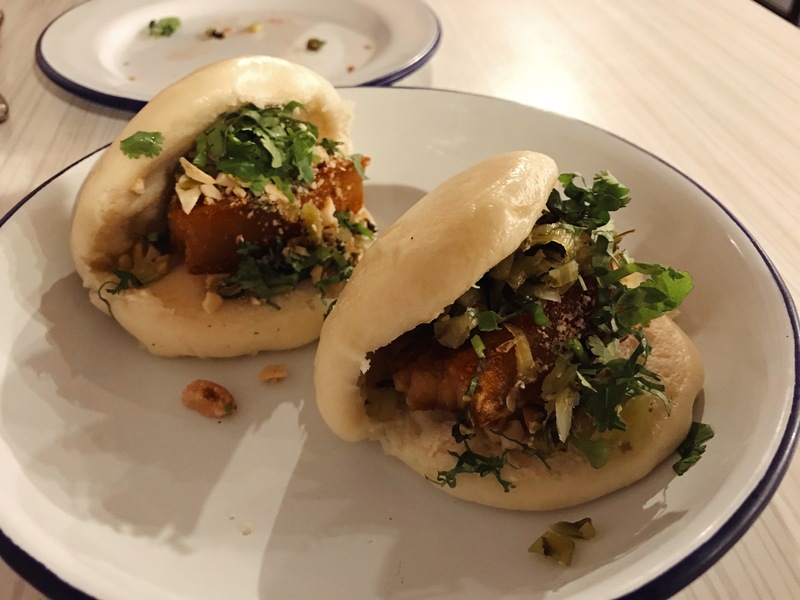 2018 has been an interesting year for Reading’s restaurant and café scene. It didn’t have huge, big-name openings like Thames Lido or Honest Burgers, but there have still been plenty of noteworthy changes and shifts over the last twelve months. 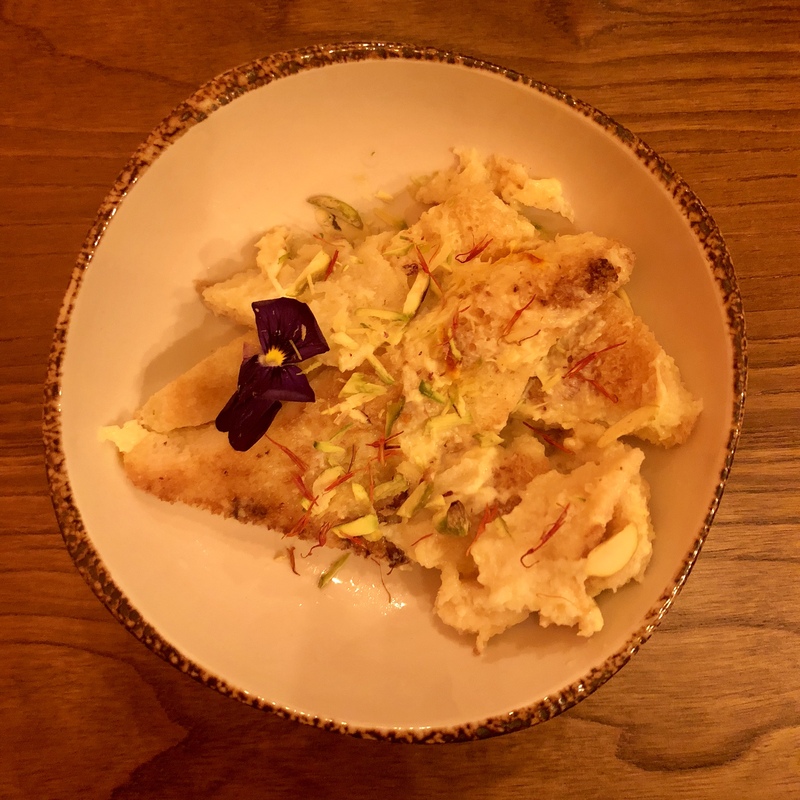 For one, the Oxford Road has become a more significant place, with Tuscany and Oishi opening this year offering properly lovely pizza and promising Japanese food, filling a gap that has been there since Bhoj moved into town and I Love Paella left Workhouse Coffee. 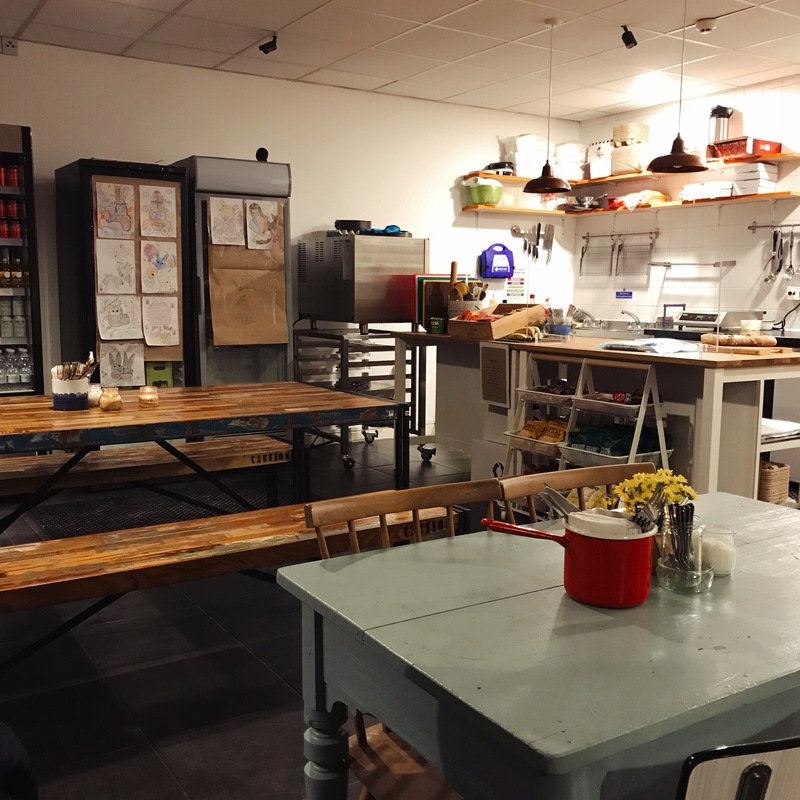 Another trend has been some of Reading’s street food and pop-up specialists finding new homes, so Laura from Pop-Up Reading now cooks at the Tasting House and Georgian Feast are now operating at what used to be Nomad Bakery, in Caversham, a rare gastronomic high spot north of the river. 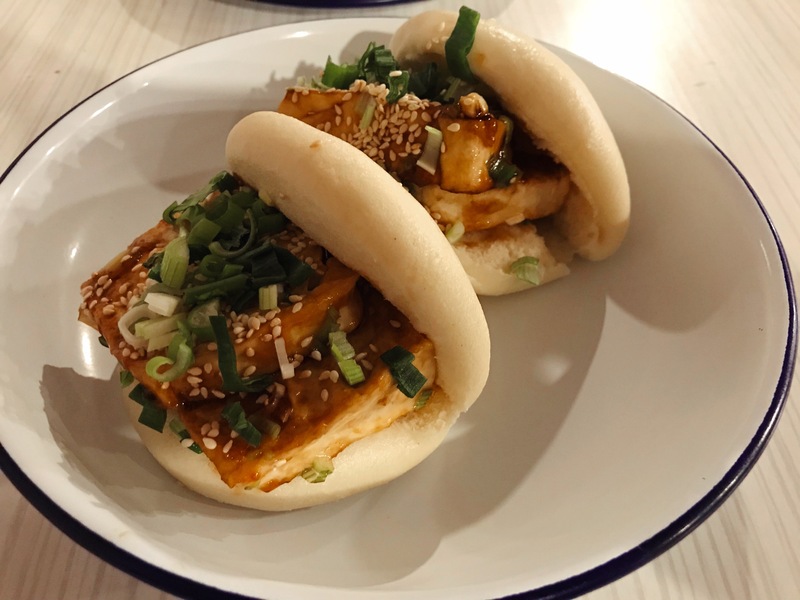 Not to mention the way street food in Reading exploded this year, with Blue Collar taking over the Forbury and the Abbey Ruins for brilliant events running over several weeks. And then there are the new arrivals among Reading’s cafés, with a second branch of C.U.P. on Blagrave Street and Anonymous Coffee firmly installed both at the Tasting House and, if you work there, Thames Tower. Of course, the circle of life means that restaurants also fall by the wayside, some of which are more mourned than others. So this is the year that Namaste Kitchen lost its chef and front of house and I Love Paella left the Fisherman’s Cottage. Those things might well make you sad (as they do me), whereas the closure of our branch of Jamie’s Italian might bother you less. But we also said goodbye to the much-loved Dolce Vita, cafés Artigiano and the Biscuit Tin and chains Loch Fyne and CAU. The casual dining sector faces an uncertain future in 2019, so few people would bet against further contraction next year: if you like a restaurant, you need to keep eating there. This doesn’t deter people from entering the market, so the end of the year saw two further openings – Persia House, on the far side of Caversham Bridge (in a spot many consider cursed) offering Iranian food and the Corn Stores in the iconic building opposite Apex Plaza, where the owners are hoping a very fancy refit will persuade diners to part with quite a lot of money for steak. I will of course be heading along to check both of them out in the New Year. But before that, on the last Friday of the year, it’s time to look back in my annual awards and celebrate the best of 2018. And before we do that, I have to say a quick thank you. It’s been an incredible year on the blog: the most successful since I began in 2013, with more visitors than ever before. It’s been the year that I put out two of the most popular features on the blog (on the things Reading needs and Reading’s 10 must-try dishes), ran a competition with new kid on the block Clay’s Hyderabadi Kitchen and ate, and reviewed, all manner of things, from pizza in Newbury to croque monsieur in a hospital, from chip-free fine dining in Binfield Heath to wobbly shawarma down the Wokingham Road. I’ve had help from an incredible cast of guest dining companions who have helped make every meal an absolute pleasure (even when the food was not). A total of twelve different people have joined me on reviews this year, and every one has added something different. I don’t want to leave anybody out, and listing them would probably be dull for everybody else, but they know who they are and they know that I’m enormously grateful. And actually, I ended up having lunch with a lot more people than that – over fifty people attended one of the four readers’ lunches this year, from the first one at Namaste Kitchen at the start of the year (featuring a superlative greatest hits package of seemingly everything on the menu) to the elegant and accomplished four course set menu at Clay’s Hyderabadi Kitchen in December. It really has been quite a year. Right, with all that out of the way let’s concentrate on the task at hand. Ready? Good. I only got out my legendary 8 paddle twice in 2018, for visits to Soju and Oishi. 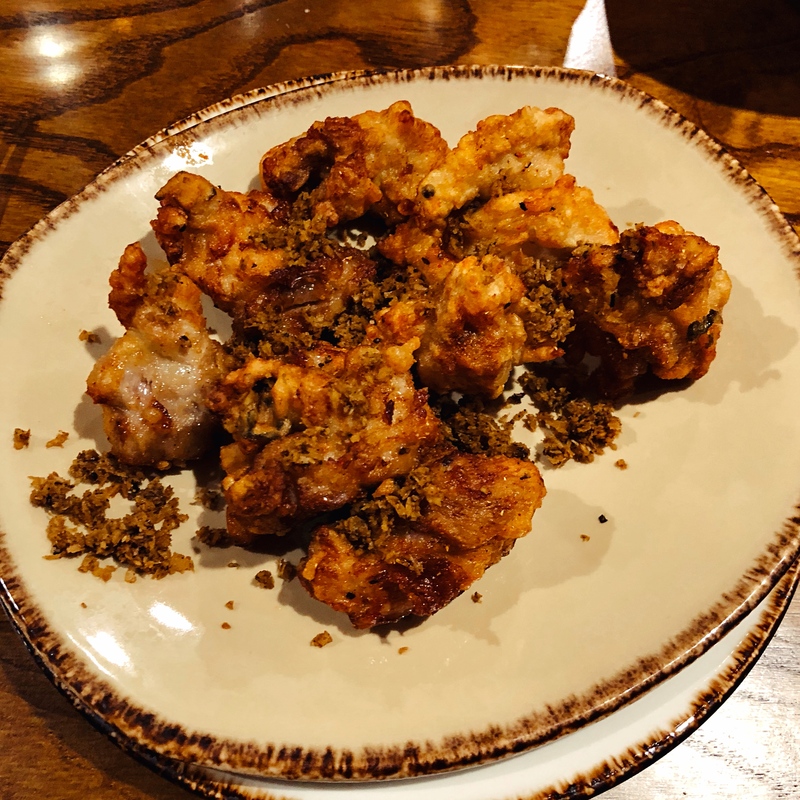 A big part of my rating for the former came from this dish, phenomenal crispy fried chicken covered in hot and sour sauce and scattered with sesame seeds, a quite magnificent affair which became my yardstick not only for starters and small plates in Reading, but also for fried chicken everywhere. It is reason enough to go to Soju in its own right, and next time I go I might order three. Honorary mentions go to Bakery House’s chicken livers – meaty, metallic and resplendent with sweet red onion and punchy pomegranate molasses – and Bench Rest’s cauliflower shawarma, a beautifully done dish which could persuade anybody to give vegetarian food a whirl (though not, necessarily, to refer to it as “plant-based dining”). I won’t get on my high horse again to deliver my regular speech about how Reading’s restaurants, cafes and bars almost uniformly fail to get social media, but let’s just say that this was, by far, the easiest award to give out. Fidget & Bob’s Twitter feed has been an absolute delight this year, whether it’s been tweeting their specials (which always sound delicious), supporting other like-minded independent businesses or talking about the comings and goings of life on Kennet Island. I love my part of town, but Fidget & Bob manages the almost impossible: it nearly makes me wish I lived close enough to be a regular. Contrary to popular belief, I do review chains (provided they offer something a little different). 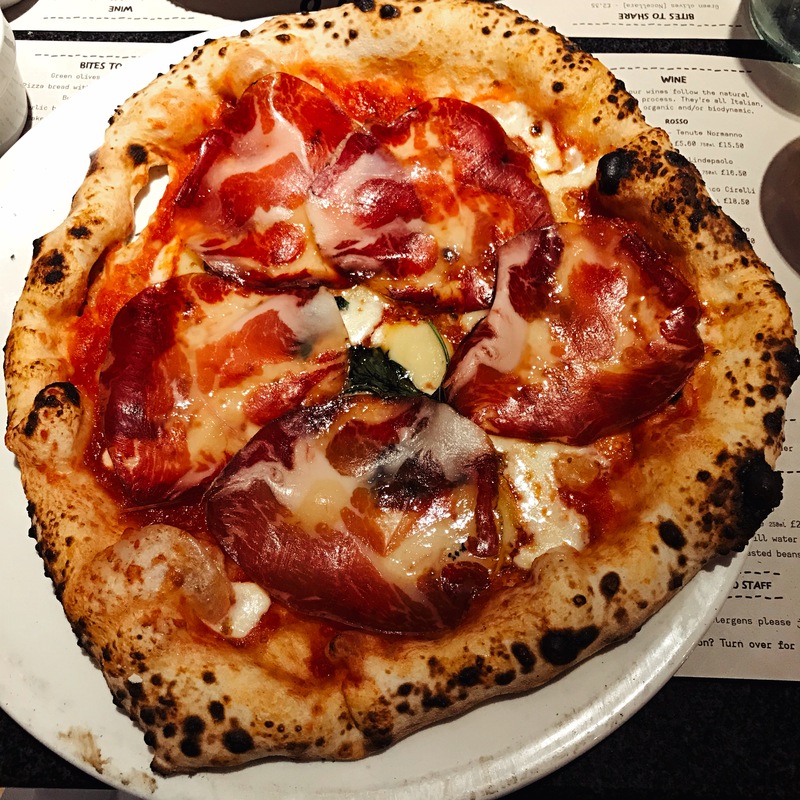 I was in two minds about Franco Manca when I went there on duty, having enjoyed a couple of their London branches prior to their big expansion over the last couple of years, but repeated visits have established it as a real favourite. 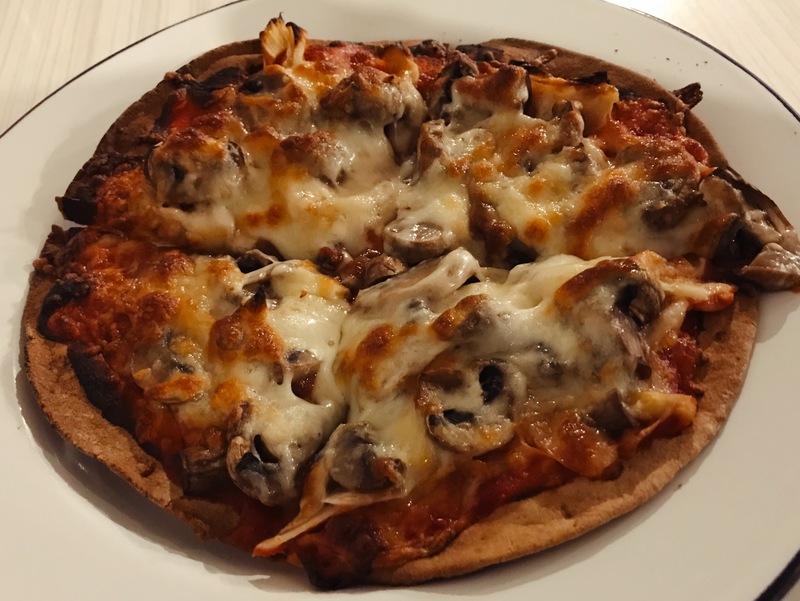 The pizzas are always good quality, the service is usually brisk but friendly and it’s an excellent, versatile venue – suitable for a quick pre-pub dinner with friends, a solo meal on the way home or a drawn out lunch when you want a little more than a sandwich. It’s often worth loading up a standard margherita with whatever toppings are on the blackboard that day, and if you do stay for dessert both the coffee and ice cream are better than you might expect. 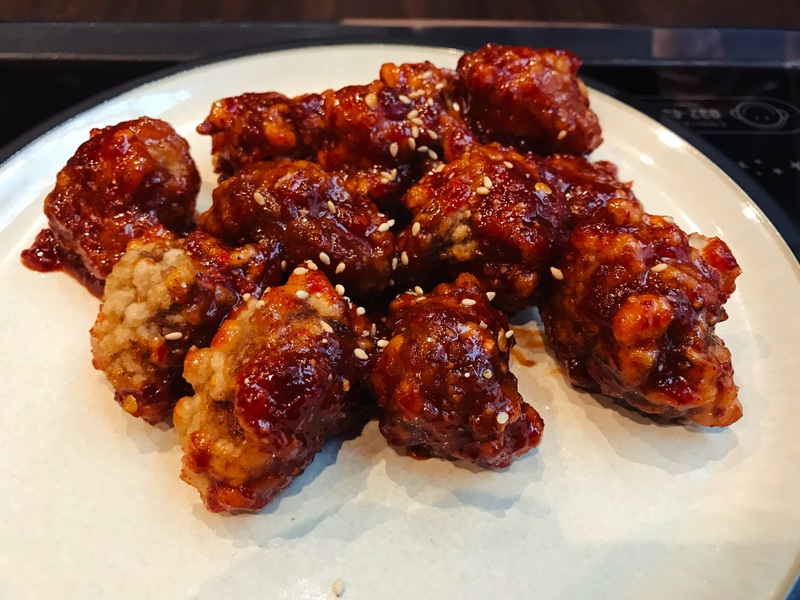 Honorary mentions in this category go to Cote Brasserie, which has been doing its thing for so long that you could be forgiven for forgetting how good it is, and Kokoro, which is also a perfect place to stop for a big lunch or a quick dinner, solo or with a friend. 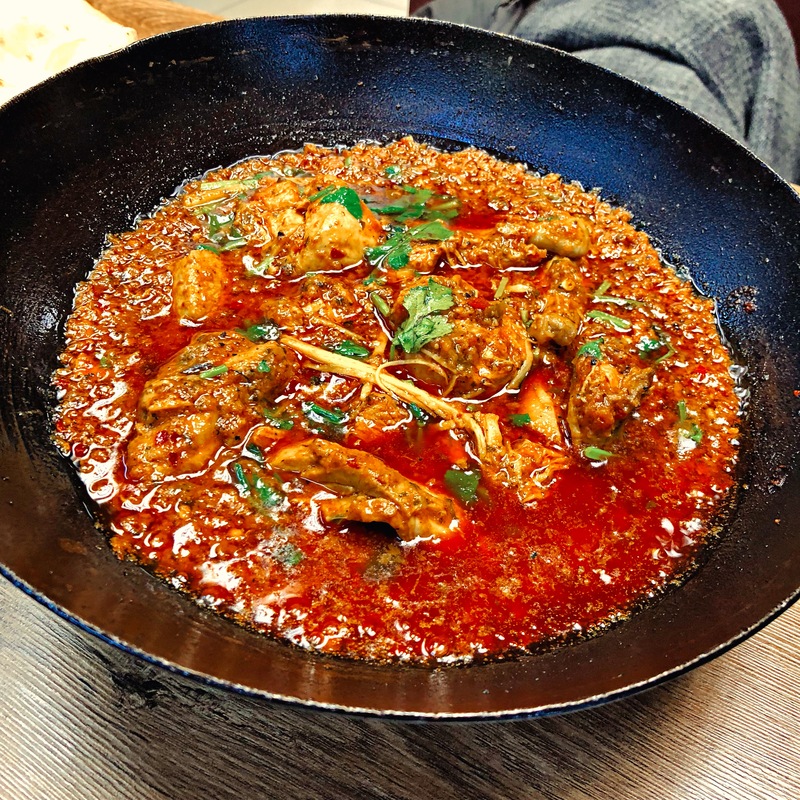 I have waxed lyrical about this dish so often that I may have run out of things to say by now, but Kobeda Palace’s karahi chicken remains a beautiful dish and a hugely surprising one; nothing about Kobeda Palace necessarily gives away that you can get such a gastronomic treat there, but there it is. Chicken, on the bone but neatly jointed, comes in the most glorious spiced sauce, with plenty of coriander and fresh ginger. The trick, if you can manage it, is to strip it all off the bone before you start and scoop it up with the giant, freshly baked naan bread. It really is gorgeous, and I’ve introduced numerous people to it this year. There were so many contenders for this award that even narrowing down runners-up is almost impossible: you might be surprised, for instance, to discover that Café Yolk’s incredible Breakfast Burger was a fixture on my long list. But it would be wrong not to mention Pepe Sale’s suckling pig, a dish which is never going to be in or out of fashion but remains unbeatably delicious all the same, and the instant classic that is Clay’s Hyderabadi Kitchen’s bhuna venison (I even remember a Twitter outcry this year when, for a couple of days, Clay’s ran out of venison). I can’t imagine many of you being surprised by this: I’ve had regular conversations with people where they basically say something to the effect of “Clay’s is a little too good for Reading”. I think it reflects well on both Clay’s and Reading that the owners don’t seem to think so, and nor should we. To go from a standing start to being firmly ensconced as Reading’s (or at least Twitter Reading’s) favourite restaurant is quite an achievement, and barely a week goes by without somebody on social media publicly declaring how delighted they are to be back there for their umpteenth visit. I can’t say I blame them. Bing Crosby once said that Frank Sinatra was the kind of singer that only comes round once in a lifetime, before adding “why does it have to be my lifetime?”. On a similar note, both Oishi and Tuscany can feel unfortunate not to win this award this year: Oishi was a lovely, low-key, apologetic delight, serving very good sashimi and teriyaki, and Tuscany is a superb, if idiosyncratic, pizza joint which may or may not do loads of other things, if you can ever track them down on a menu – or indeed track down a menu. Oxford’s Arbequina is, simply put, one of the best restaurants I’ve been to anywhere, in ages. 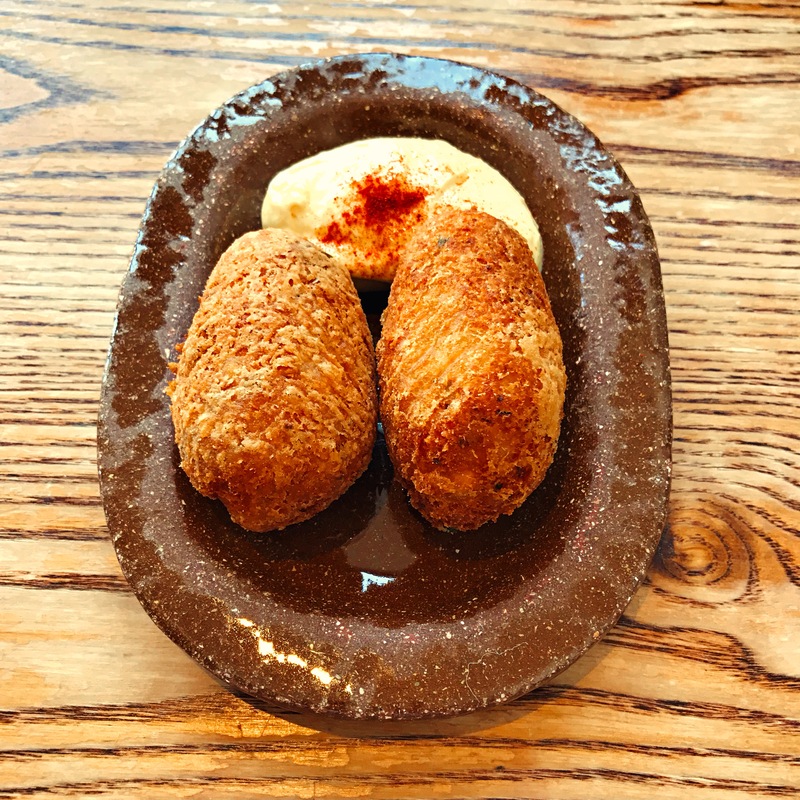 A little spot down the Cowley Road, basic tables and chairs, a small menu, a small kitchen and superb staff who can execute all of it perfectly. Once, after a fantastic meal there, the waiter told me that they deliberately make the menu so simple that people can be trained to cook all the dishes in a week. Nothing is complex or fiddly but all of it is truly outstanding, from toast with ‘nduja, honey and thyme to pork belly smothered in verdant, herby mojo verde. Special mention has to go to the tortilla, which will slightly ruin all other tortillas and omelettes in your mind for the rest of your days: only order one if you can cope with that. None of the out of town venues I visited on duty, sadly, came close to being in contention for this award but honourable mentions definitely go to the Black Rat in Winchester, a Michelin starred pub which could teach many of Berkshire’s and Oxfordshire’s poseur gastropubs a thing or two about keeping it simple, and Chelsea’s Medlar which is as good an excuse as you could hope for to take a Friday off and slope over to London. I often struggle to find a dessert I much like in restaurants and usually, when I do, it involves chocolate. Hats off, then, to Clay’s which has a chocolate-free dessert so fine it’s worth saving room for (itself a challenge, on a visit to Clay’s). It’s bread and butter pudding, but not as we know it – chilled, clean and fresh, sweet without being cloying, a delicate, clever thing packed with pistachio and full of surprises. A lot of the attention focused on Clay’s other dessert, a very striking and unusual rice pudding made with onion, but for me this is straight out the best dessert you can get anywhere in town. Runners-up in this category are Pepe Sale’s seadas, pastry full of cheese and sweet with citrus (don’t knock it til you’ve tried it) and Honest Burgers’ salted caramel milkshake, because a milkshake is a perfectly respectable dessert option and, as far as I’m concerned, the sooner restaurants get on board with this the better. Some of my nicest lunches this year have been spent sitting outside in the courtyard shared by Workhouse and the George Hotel, enjoying a mango lassi and some of the many excellent dishes cooked up by Bhel Puri House. 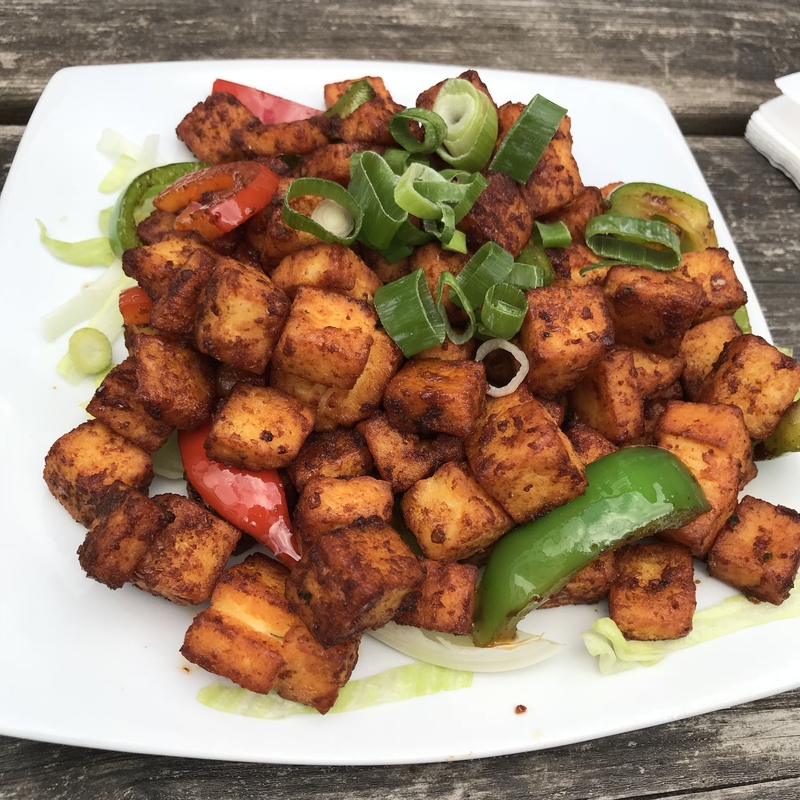 Everyone talks about the chilli paneer, which is every bit as good as it was when I first reviewed it almost exactly five years ago, but the supporting cast is almost as good, whether you’re having vada pav (a sort of potato cake sandwich which feels like Indian street food which has found it’s way here via Hartlepool), crispy bhajia – perfect thin slices of fried potato with a sweet carrot chutney – or classics like Punjabi samosas. They haven’t changed a thing since they started, as far as I can see, and I’m glad they haven’t messed with a winning formula. It just feels like 2018 was maybe the year that Reading (including me) started to catch up. I might be a bit jaded with the endless parade of relatively traditional sandwiches available in Reading, good though many of them are, and so my other podium places for this award go to Bakery House (for its small plates and the endless wonder and ludicrous good value of its lamb shawarma in pitta) and Blue Collar, where every Wednesday you can make the acquaintance of Leymoun’s quite extraordinary challoumi wrap. It’s not been the best year for the service profession in Reading. Ihor has left the Artist Formerly Known as Kyrenia, Kamal has departed from Namaste Kitchen, and Kostas, Alexandra and the rest of the crew at Dolce Vita must be plying their trade elsewhere. Not only that, but Marco left Pepe Sale to head off into retirement, splitting his time between Kent and Italy. But actually, on many subsequent visits to Pepe Sale I finally got a proper view of what Marco’s presence obscured – that all of the staff there work like Trojans, are incredibly friendly, superbly efficient and do an impeccable job of making a very busy restaurant run like clockwork. So without question, Pepe Sale is a worthy winner of this year’s award for making it all look so effortless. I will miss Marco, glasses round his neck, Larry Grayson-style, telling me all the new places I ought to try for dinner, though. All is not lost, though, and there are plenty of other places in Reading where the service is still exemplary. 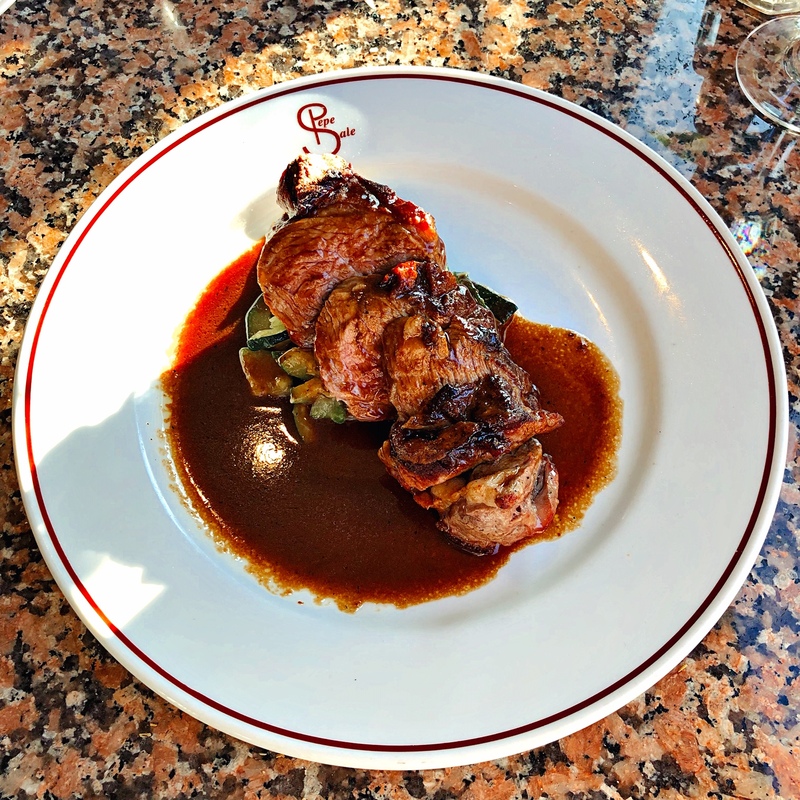 The Lyndhurst does a superb job of looking after diners, with a perfect balance between attentive and relaxed, friendly and formal, and definitely merits a mention here, as does the quite marvellous Fidget & Bob. Clay’s reminds me very much of the quote by Robert Graves that “the remarkable thing about Shakespeare is that he really is very good, in spite of all the people who say he is very good”. It’s much the same with Clay’s – everyone raves about it, me included, and you could quite reasonably think that it can’t be quite as magnificent as everybody claims. And yet, when you go, it is. 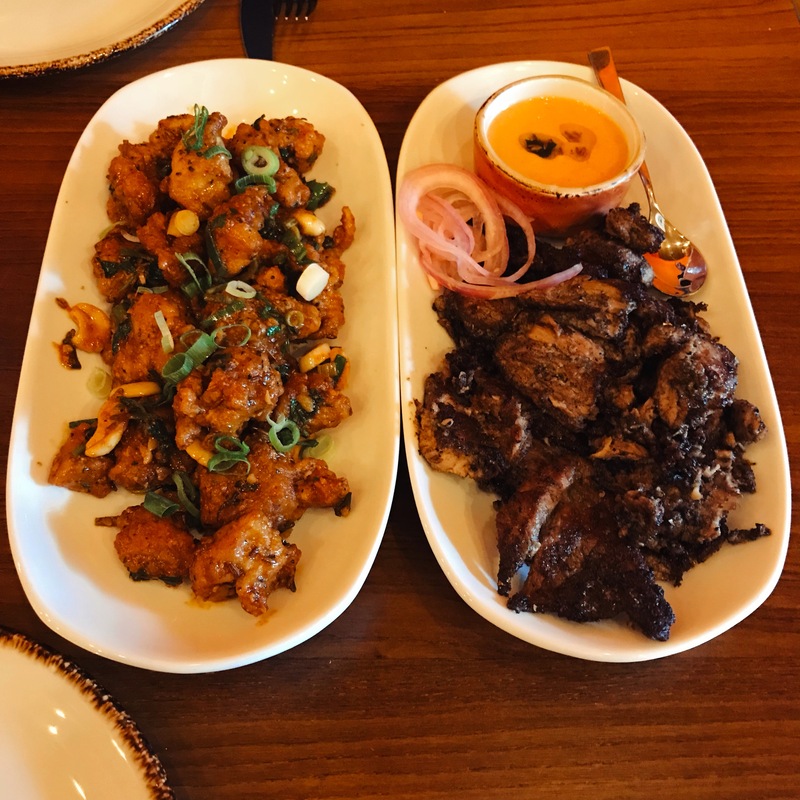 A restaurant which feels more like it’s been transferred in from London, with food reminiscent of high end Indian restaurants like Gymkhana, and yet which simultaneously feels completely in the right place in its spot at the bottom of London Street. The food is like nothing else you can get not only in Reading but probably anywhere in England, the execution is brilliant and the menu has already undergone a few changes despite Clay’s only having been open for six months. It’s already difficult to imagine Reading without it. Not everything is perfect – service has been erratic since day one, and still needs work. They could badly do with a website, and I’m still not entirely sure whether Clay’s is a high-end restaurant charging middle-end prices or a really good neighbourhood restaurant. But ultimately, this stuff doesn’t matter: what truly matters is that Reading has a restaurant quite unlike any other, where the food is frequently quite astonishing, which gets Twitter and seems genuinely proud to be part of the town and part of its restaurant community. I can’t think of a better winner of this year’s award, even if I can look forward to a chorus of comments giving me the final ER Award of 2018, for Stating The Obvious.